Ernesto Botello’s future is in the hands of a jury after closing statements from the prosecutor and Botello’s attorney ended Wednesday. Botello could face up to one year in jail for misdemeanor vehicular manslaughter if he is found guilty. Last September, his car struck 12-year-old Jake Boysel, who was riding in the bicycle lane along Calle Real near Highway 154 on his way to school, sending the boy almost 100 feet up the road. The boy’s backpack was embedded in the grill of Botello’s 1997 Ford Expedition, and his helmet and shoes were knocked off from the impact. Also at issue was the claim that Botello was driving with a dirty windshield with a crack in it, along with his seat reclined and the music at a level Neufer deemed “deafening.” Put together, the circumstances – which alone would prove guilt or negligence – show a “pattern of carelessness,” she said. “These crucial choices did cost a life and that is a misdemeanor,” she said. Defense attorney Neil Levinson said the case lacked reliable proof. He attacked the Santa Barbara Police Department, saying they “didn’t want to get to what really happened.” A reconstruction of the collision was only done because a re-enactment failed to prove the police’s theories, he said. Levinson also noted that the reconstruction was done the day after the collision, on an overcast day during which authorities couldn’t accurately re-create Botello’s driving conditions. He also attempted to discount the testimony of witness Carla Billings, who was driving in the opposite direction of Botello and witnessed the accident. Testimony from Billings about Botello’s speed and actions should be classified as nothing more than speculation on her part, and therefore wasn’t reliable, Levinson said. Neufer told the jury they could throw out all the numbers from witnesses or police Levinson deemed “speculative,” but that there was one number that couldn’t be debated – 98.8 feet, the number of feet Boysel’s body ended up from the point of impact. 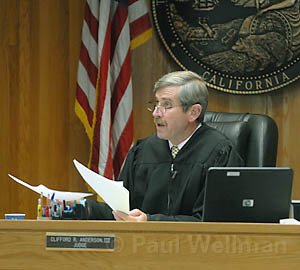 The defense didn’t call any witnesses after the prosecution rested Tuesday. Neufer called three of the four people on the defense witness list. The only person not called on the list was Botello’s mother. 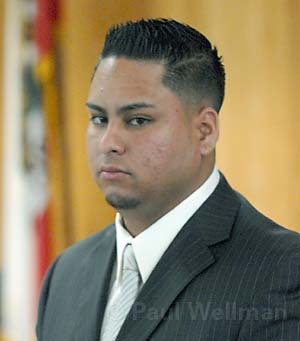 Botello himself never testified on the stand, although portions of a video of his interview with police shortly after the incident was played. The case went to the six men and six women on the jury around 10:30 a.m. Wednesday. After a break for lunch, they were expected to deliberate until about 4:30 p.m. There was no word from the courtroom through Wednesday afternoon, perhaps an indication the case wasn’t a slam dunk for the jury members one way or another. Boysel’s parents were present Wednesday, as they had been during the duration of the trial. “I thought they both did their job well,” Jake’s father, Jim Boysel, said after the jury went into deliberations. While they understood a bright sunny day makes driving difficult, Botello should have taken steps to be safe, Jim Boysel said. Ralph Fertig, president of the Santa Barbara Bicycle Coalition, has also been in attendance from the start of the trial, and said he is hopeful the outcome of the trial shows drivers they need to be responsible and be respectful to bicyclists they share the road with. If Botello gets off, he said, it will send a “chilling” message that it is “legally right” for someone not paying attention to hit someone and get away with it. “He was obviously negligent,” Fertig said. There needs to be a cooperative effort among drivers and bikers who share the road, he said. “There’s a responsibility for everyone to understand the laws and follow them so others aren’t guessing,” he said.